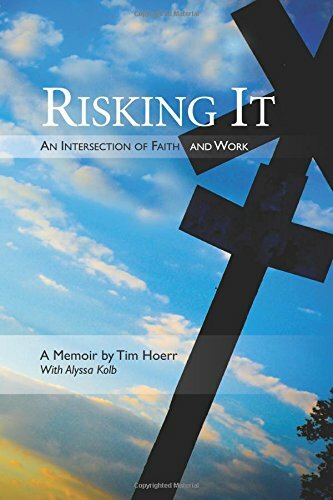 Tim Hoerr is the CEO of Serra Ventures, LLC, Managing Partner of Serra Capital, and the author of Thank God it's Monday and Risking It: An Intersection of Faith and Work. He aims to help others apply faith principles in the marketplace through his work at Serra, his writing, and his speaking. Through Serra Ventures, Tim's team provides professional services in business strategy, capital formation, and organization development. At Serra Capital, Tim provides funding to emerging and growth stage high tech companies in selected sectors. Tim has been very successful as an entrepreneur. Among other things, he has won various awards for innovation, and he co-founded iCyt, a firm which was acquired by Sony Corporation in 2009. However, most important to Tim, is his opportunity to encourage the entrepreneurs who are building today's high performance organizations through the telling of his own story - both the successes and the failures. Tim's commitment to sharing his story stems from his passion to integrate his understanding of God’s kingdom into every aspect of his life, including his business endeavors, and to see this replicated for others. — Justin Elkow, CEO of Cloud Cash Inc.